August 5, 2009 (LifeSiteNews.com) - Whether it's highlighted in major news headlines about Argentinean affairs and Ponzi schemes, or in personal battles with obesity and drug addiction, individuals regularly succumb to greed, lust and self-destructive behaviors. New research from the Kellogg School of Management examines why this is the case, and demonstrates that individuals believe they have more restraint than they actually possess - ultimately leading to poor decision-making. The study, led by Loran Nordgren, senior lecturer of management and organizations at the Kellogg School, examined how an individual's belief in his/her ability to control impulses such as greed, drug craving and sexual arousal influenced responses to temptation. 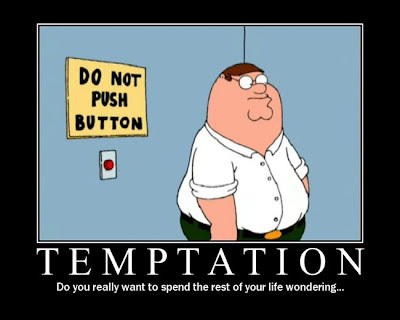 The research found the sample, on average, displayed a "restraint bias," causing individuals to miscalculate the amount of temptation they could truly handle, in turn leading to a greater likelihood of indulging impulsive or addictive behavior. "People are not good at anticipating the power of their urges, and those who are the most confident about their self-control are the most likely to give into temptation," said Nordgren. "The key is simply to avoid any situations where vices and other weaknesses thrive and, most importantly, for individuals to keep a humble view of their willpower." - People who perceive they have a high capacity for impulse control will expose themselves to more temptation and will ultimately exhibit more impulsive behavior. To test their hypotheses, the researchers conducted four experiments focusing on hunger, addiction and mental fatigue. Each experiment resulted in significant "restraint bias." For example, one experiment focused on cigarette addiction found those who overestimated their capacity for self-control were much more likely to smoke a cigarette after simply watching a movie about smoking. Another experiment centered on hunger. Results found a satiated group was significantly less likely to return snacks than a hungry group who limited their temptation by choosing less appealing snacks. "A system which assumes people will control themselves is going to fall prey to this restraint bias; we expose ourselves to more temptation than is wise, and subsequently we have millions of people suffering with obesity, addictions and other unhealthy lifestyles," said Nordgren. "And, while our study focused on personal behaviors like smoking and eating, it is easy to apply our findings to a broader context. Understanding the power of temptation, you might also ask about the extent to which we need oversight or regulatory guidelines for business and political leaders." Furthermore, this research suggests observers should think twice before judging those who fall prey to temptation because most people overestimate their capacity to control their own impulses, Nordgren concluded. The study will appear in an upcoming issue of Psychological Science. Nordgren co-authored the research with Joop van der Pligt and Frank van Harreveld of the University of Amsterdam.